Thousands of betta fish are sold every year at Pet and Aquatics Warehouse on Wards Road, and according to Adam Dugger, the fish department manager, a new Liberty semester means extra sales. 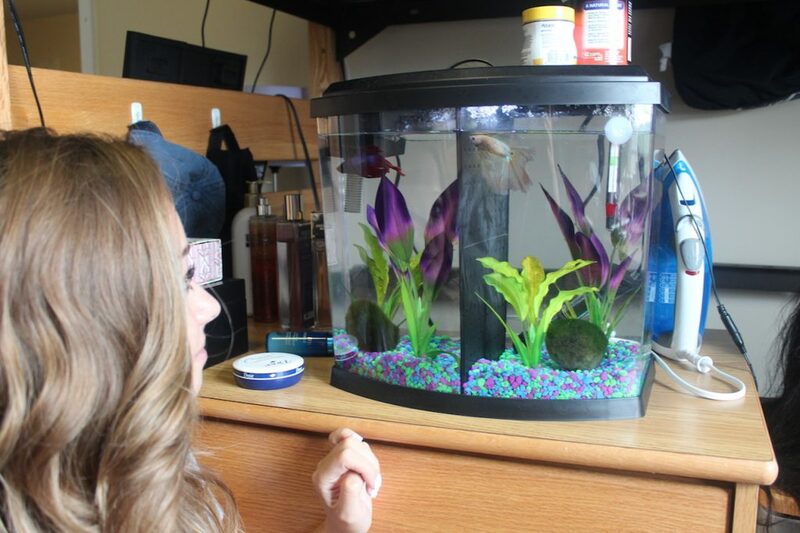 An animal-lover in Liberty University’s dorms has two pet options: fish or hermit crabs. Junior Kelsey Cox has tried both, but she thinks fish are easier to care for. Fish, she noted, are silent. Cox said they are friendlier, too. 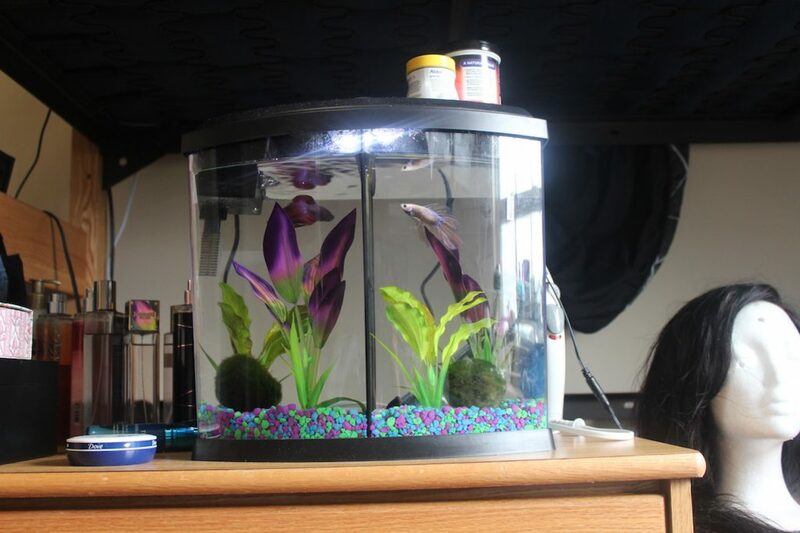 Cox said it relieved stress to watch her betta, Gabriel, swim in his tank and flare his colorful fins. The American Pet Products Association and Gallup estimate that 10% of Americans own a freshwater fish. Low cost and easy maintenance make them popular for people with small budgets and busy lives. That description fits the average college student. Dugger, who has spent five years at Pet and Aquatics Warehouse, said that sales are two or three times larger when college students arrive in Lynchburg. A classic betta can cost as little as $5, and Dugger and Cox said a basic betta fish setup can cost just $20-30. That includes a small tank, food pellets, and the water conditioner that makes tap water safe for the betta. For room temperatures below the high 70s, Dugger also recommends a water heater to keep bettas active and healthy. For fish owners who want to decorate, Pet and Aquatic Warehouse sells a rainbow of neon plastic plants and tank décor from Star Wars ships to jungle scenery. Bettas require clean water and daily feeding, though they can go for several days without food. With good care, they live three to five years. They also travel more easily than many types of fish. This makes bettas convenient for college students traveling between campus and home. Cox lost a fish traveling, so she recommends keeping the tank stable while driving and waiting to feed the fish until it has time to recover after a trip. Still, she said bettas are easy to care for overall. To avoid stressing her betta with an especially long trip, Cox gave Gabriel to a friend. The friend gave Gabriel to his little sister, and the betta now has a new name: Princess Buttercup XVII. Cox remembers her betta fondly.